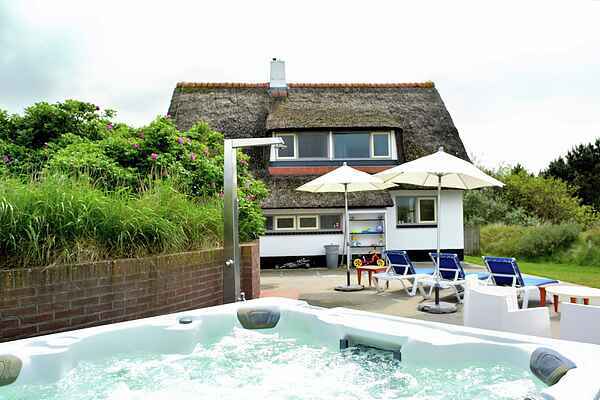 Thatched roofed, cozy family house with enough on a 3000m2 property. Beautifully situated in the rustic dune are, Nes and Buren. The distance from the house to the beach is about 350 meters. The property has a large garden with lots of privacy, 2 terraces, one with Jacuzzi and outdoor shower.